Printing Services We'll design, we'll print and let the Post Office do the rest. We are a Printer Broker, which can get you the Best Prices on the market! Our main focus is websites and graphic design. We had the opportunity to buy into a printing service and we thought it out, and concluded it would be a great benefit to our clients. Since then, we have had many opportunities to draw in new clients. We've been called a one stop shop for good reason. We design it because we already know what you're looking for. If you design it yourself, we can accommodate you also. You can upload your graphic right onto our website, put in your address, credit card info and we'll print it, and ship it. 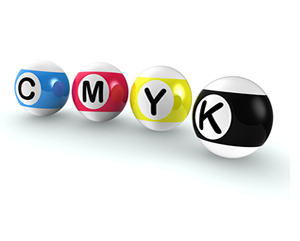 Our online printing services are designed to make printing your documents extremely easy. Whether you’re using the built-in design tools, uploading your own files, or just trying to reorder, the whole process is extremely simple and straightforward. Our service provides intuitive navigation and incorporate a simple step-by-step process to help you get exactly what you want, quickly and easily. You’ve got a great design; don’t let it go to waste by going with the cheapest paper and bland finishing. After all, one of the reasons you’re choosing an online printer over your desktop printer is to get professional quality. So don't "Vista" your quality design away. The feel and weight of a document can say just as much as the actual content. Our services offer a number of paper stock weights and colors, as well as professional finishing (lamination, aqueous coating, gloss). You will also find a variety of cutting, folding, hole punching, and binding options (Call us for quotes). Getting your materials to where they need to be is an essential step in the printing process. We take advantage of shipping through UPS to get it to your front door. If needed, we have integrated direct mailing services to help you get your marketing documents to a number of customers, using your mailing list. As we offer rush shipping, keep in mind that this is only after the actual printer turnaround time (usually at least a day or two). We even offer EDDM, a US Postal service that will get your material to your closest zip codes. As well as convenience and advanced options, one reason to use an our printing service is for premium quality. If the end result looks like you printed it off on your home printer, why bother? With the best printing services we offer, you can expect consistent performance; rich colors, excellent finish, precise cutting/folding, and excellent overall quality. Please view our Portfolio page for examples of our work. After, contact us, or give us a call at (866) 693-8688. © Copyright PRO Advantage Web Design. All Rights Reserved.